This flower has been painted red and covered with glitter for a pretty sparkle. I love the intricate look that this flower has! older photos (pre-digital) for a change. much like my first layout - only brighter. Plus I've added some black inking work too. I have covered two tags with patterned paper and one has been painted cream. layered look which was important for the photo, and to create less bulk overall too. the edges and to create bright light marks. the patterned packaging tape that I used. Well that is all from me. I've really enjoyed my time here at 2Crafty! two years and thanks to Vanessa and Di for having me on the team! These are absolutely GORGEOUS! I loveeeeeeeeeee the journaling on the first one!! Fabulous pages, as always....loooove your brights...great to see some older photos on your page, & on that top one? The journaling? Looks amazingly excellent!!! Will miss you at 2Crafty!!! These pages look amahhhzinggg! Always love the way you use color and the journalling is fabulous and love the outlining too of your embellies.. wonderful creations!! well done! Wow ! you have such an original style ! I love it ! 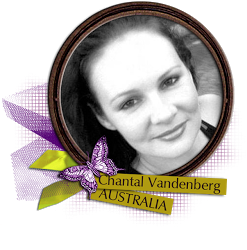 I have loved seeing your work here on the 2Crafty blog Chantal...you will be missed. Such beautiful, lively, full of fun pages, my dear! Thanks for inspiring us all! These are so fabulously bright and fun!! You have such a stunning style Chantal...love all the journaling on the first page. Love the the bright colours & the journalling!! 2Crafty Chipboard is an Australian owned and operated manufacturer and wholesaler of laser cut chipboard products. Located in Sydney, Australia. We have been in operation since October 2006 and have more than 1000 designs on offer. We pride ourselves on quality products that are versatile and up to date with market trends, as well as offering unbeatable customer service, with quick turnaround of jobs large and small. We are happy to quote on personalised jobs, whether it be a single title for a customer, or large jobs for retreats, classes etc. If you are a retail business and would like to stock our range of unique products, please contact us for more information using the button below.